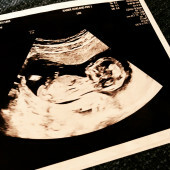 We're thrilled about having a baby girl! Isla is so lucky to have family and friends who already love her. Thank you from the bottom of our hearts for helping us kick-off this amazing journey.